The southwest region extends from Charlotte Harbor in the north to the famous Ten Thousand Islands in the south. [click here for regional map] It encompasses Charlotte, Lee, and Collier Counties. People come to this part of the state, one of the fastest growing areas in the country, for its favorable climate, abundance of natural areas, wildlife watching opportunities and, of course, because of the region's legacy as a fishing hot spot. Southwest Florida has some of the best backwater fishing in the state. 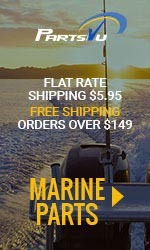 For the uninitiated, backwater fishing, or backcountry fishing, is angling in the extensive network of bays, mangrove islands and tidal creeks that permeate the region. There are thousands of miles of shoreline, countless oyster bars and acres of seagrass beds that attract an abundance of salt water fish. Roaming these waters are four of the state's most sought after gamefish, the snook, redfish, spotted seatrout, and tarpon. Thousands of anglers come to southwest Florida each year for the chance at a grand slam, catching one individual of each species in one day. Rookery Bay, between Naples and Marco Island, and the waters from Marco Island into the upper part of the Ten Thousand Islands are also Aquatic Preserves. The upper part of the Ten Thousand Islands is slated to become a National Wildlife Refuge while the lower portion has been a part of Everglades National Park for many years. 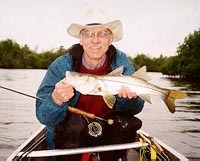 Southwest Florida, at first glance, doesn't sound like a fresh water angler's paradise. The region only has a handful of natural lakes and only one, Lake Trafford in the farming community of Immokalee is accessible to the public. There are many other lakes in the region but, they are all made-made rock pits or water retention areas for the numerous housing and golf course developments. Most of them are stocked and offer some excellent bass, catfish and panfish fishing. But, because they are located on private property, fishing is usually restricted to residents and their guests. If in doubt, assume the lake is private and ask for permission before wetting your line. Don't construe the shortage of natural lakes and the restricted use man-made lakes with a lack of places to fresh water fish. Southwest Florida has hundreds of miles of drainage canals containing tons of fish. There region has three major canal systems: Lehigh Acres, Cape Coral and Golden Gate. Certain parts of each system are locally famous for good bass and panfish fishing. Each system has a few boat ramps, some bridges to fish from and plenty of areas where you can fish from the banks. Driving around the region you will also notice that there are drainage canals along many of the major roads. Don't overlook these as possible fishing spots. If there is a safe place to pull off the road, stop and give it a try. You will see people doing this every day and they usually are catching fish. This part of the state has year-round largemouth bass and panfish fishing. Most of the bigger bass are caught during the cooler months when the fish are more actively feeding and at their peak bedding time. Panfish, including bluegills and redear sunfish will almost always bite a worm, cricket or small minnow. Black crappie, preferring colder waters, aren't as prevalent in this part of the state. Lake Trafford has the best crappie fishing in the region with the winter month being best. Oscars, exotic fish that are working their way into southwest Florida from the Miami area, can be very abundant in the freshwater canals, particularly along the US 41 canal in eastern Collier County. Catfish, mudfish and several species of gar are also common freshwater residents.